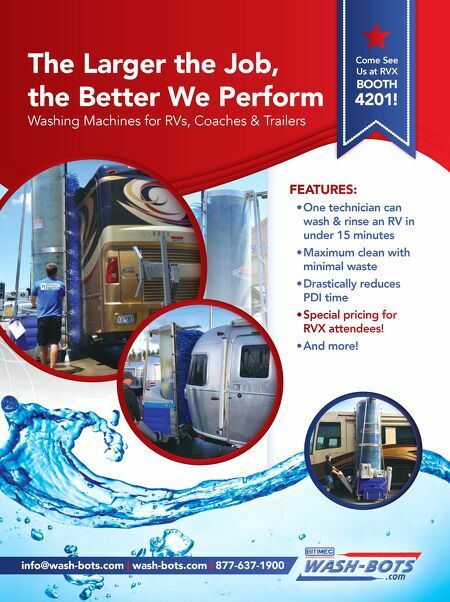 The Larger the Job, the Better We Perform Washing Machines for RVs, Coaches & Trailers Come See Us at RVX BOOTH 4201! 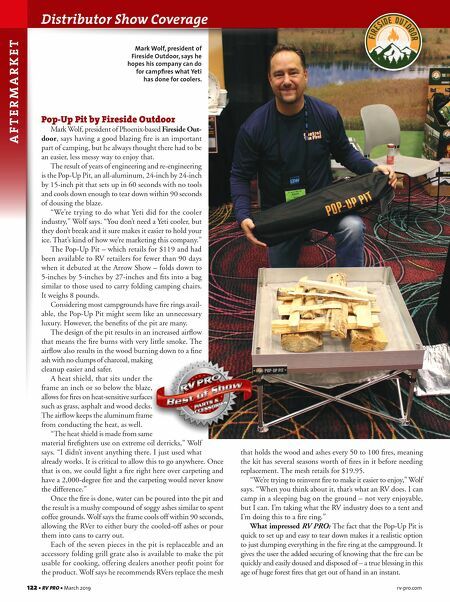 info@wash-bots.com | wash-bots.com | 877-637-1900 FEATURES: • One technician can wash & rinse an RV in under 15 minutes • Maximum clean with minimal waste • Drastically reduces PDI time • Special pricing for RVX attendees! • And more!